​Zenko Yoga is thrilled to host this Life Changing International Retreat nowhere else than the Spiritual hub of Ubud in Bali. Join us on 8th October 2019, for this 5 day Zenko Yoga Retreat to soothe the soul and nourish your Whole being. Take time out with the Zenko Tribe, as teachers Lauren Verona and Mandy Habener guide you on this breathtaking journey to self reflection and discovery. With a combined twelve years of experience in yoga, meditation and mindfulness, you will be supported and guided to delve deeper into your practice and into yourself. Enjoy a variety of dynamic power flow, gentle restorative and yoga nidra specifically designed to balance the body and mind and to open the heart. Bali, often referred to as the ‘Island of God’s could just as easily be called the ‘Land of Smiles’. Far more than a place, Bali is known for it’s rich and diverse culture and the feeling and aspiration of paradise that it brings. From the moment you arrive, you’re bound to experience the kind spirited locals and the Island’s overall character and charm. 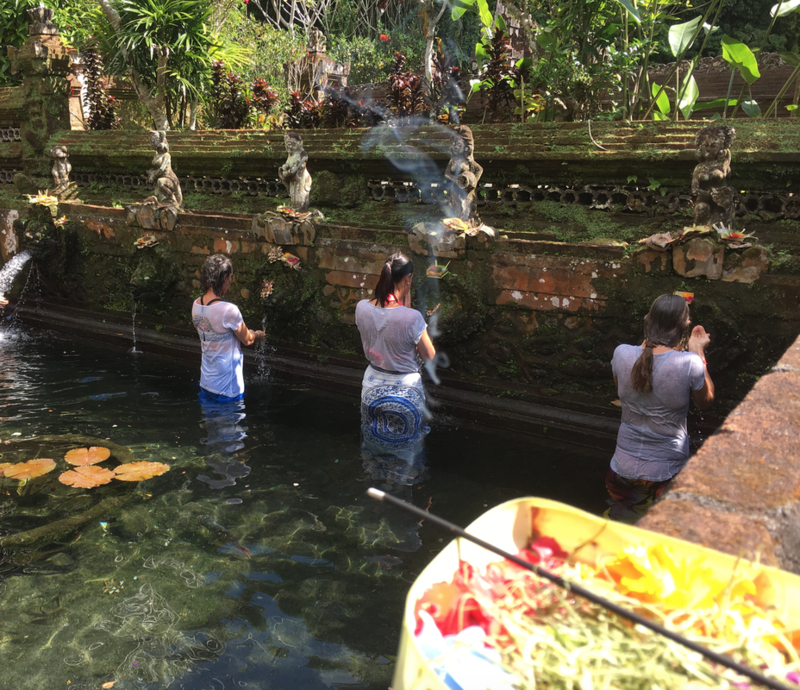 With a diverse natural environment of many varied landscapes, we’ve carefully selected Ubud, considered as Bali’s cultural hub to hold our 5 day immersion. Lose yourself in the natural beauty of our own resort’s grounds or embrace the cultural and artistic heart of Ubud full of many dancers, musicians, markets and more. Stay with us at enchanting Ananda Cottages, located in Ubud surrounded by lush rice fields, complete with a backdrop of cool tranquil hills. Choose from single or twin share accomodation, giving you a chance to meet and bond with like-minded Zenko yogis while being surrounded by all the beauty this resort has to offer. ​You’ll have plenty of free time to relax, unwind, explore and enjoy your surroundings whilst in Ubud. Choose from spa treatments, shopping, dance shows, bali blessings and more. Retreats stars on 8th October through until 13th October. ​Many of our retreaters organise flights a few days early or later to maximise their time in Bali. We have carefully chosen dates to offer the opportunity for people to explore before or after, in addition to their retreat experience. A $100 payment is required to secure your booking, please note this is non-refundable. Payment plans available.